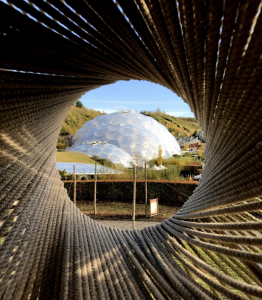 The Eden Project is a visitor destination in Cornwall, not far from the South West Coast Path. 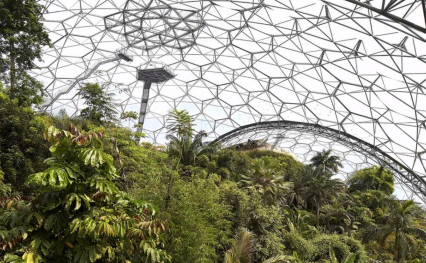 It is nestled in a huge crater. 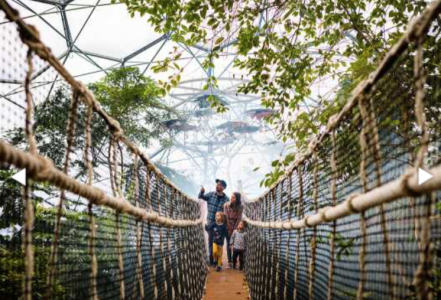 Here, massive Biomes housing the largest rainforest in captivity, stunning plants, exhibitions and stories serve as a backdrop to striking contemporary gardens, summer concerts and exciting year-round family events.